Start a healthy lifestyle early! Healthy meals are vital to a child’s health. The right foods reduce mood swings, improves concentration levels and stabilizes their energy. Children who eat breakfast daily have better energy levels, do better in tests and have more stable moods. Ensure that children eat a breakfast that is rich in quality protein. Foods that are protein rich include eggs, yoghurt, milk, cheese, fish etc. Mornings are especially stressful on parents as they are rushing to get their kids ready in time for school. Reduce stress by doing some meal prep earlier in the week. Your child’s eating habits will depend on the type of foods you have in your pantry and fridge. It will be difficult to adopt healthy eating habits overnight as your child may need time to adapt. Start slow with a few healthy alternatives to the usual food items in your pantry. Add more as you and your child get used to the new food choices and before you know it, your whole family will be eating healthier. If your home does not have chocolate, sweets and other unhealthy foods, your children will be less likely to eat unhealthy snacks when they are hungry. This doesn’t mean you should ban them entirely. That would only create cravings, and this will result in children overindulging whenever they get an opportunity. The best option would be to only eat these foods on a particular day in a week or on special occasions. Hence, it’s best to buy these foods in limited amounts. An apple a day…. is delicious! Always have a bowl of fresh whole fruit in a place where your child can see it and have access to it. Try to have fruit at every meal. A banana for breakfast, an apple in the lunch box or some oranges as a dessert after dinner. This way, eating fruit will become part of your child’s normal meal habits. Make fruits more appealing by adding cut fruits to some low-fat frozen yogurt. It’s a well known fact that most children do not enjoy eating vegetables. Sneak some into their daily diet by hiding vegetables in other foods. Shred or grate zucchini or carrots into sauce, casseroles, meatloaf or stews. Add shredded vegetables into pancakes or waffle batter to make savory pancakes and waffles instead of the typical sugar laden variety. Teach your children to listen to their bodies. If they are feeling full and don’t want to eat more, let them leave the dinner table. Children who are forced to ‘clean their plates’ are likely to overeat. Food is often used as a reward with young children. It’s not unusual for parents and even teachers to reward children with a candy if he/she has behaved well or completed a certain task. When we do this, children may use food as a coping mechanism to deal with difficult emotions in the future. They will always relate food to comfort and may seek out snacks when they feel stressed or unhappy. Parents could reward children with hugs, attention or praise instead. 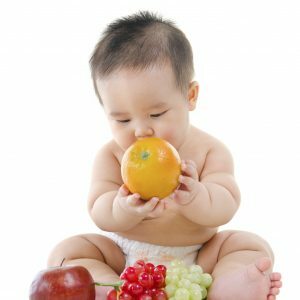 There are many ways parents can pick healthy, delicious foods for young children. It’s important not to skip breakfast and to switch to healthy food alternatives. Always ensure your child’s meals contain some fruits and/or vegetables and adopt some new eating habits. All of this will ensure that your child is on his/her way to eating more healthily.